I’d like to implement regular nature studies in my homeschool, but I’m not sure how. Can you help? Studying God’s creation is a fantastic way to connect with the Creator. We are told in Matthew 6:26-29 to “Behold the fowls of the air” and to “Consider the lilies of the field” to learn and remember how much the Lord loves and cares for us. The words “behold” and “consider” mean much more than just a casual glance. “Behold,” translated from the Greek word emblepo, means to turn one’s eyes on, look at, to look at with the mind, and to consider. “Consider,” translated from the Greek word katamanthano, means to learn thoroughly, examine carefully, and to consider well. Field Guides – we like Golden Guides for their compact size and detailed information. It is handy to have one for flowers, trees, insects, birds, and any of the other 25 or so guides they publish. Wild Cards: Edible Wild Foods – these are great little cards, easily stashed in a back pack, have photos of numerous plants and information about their uses. They also double as playing cards! Art supplies – sketch pad and/or journaling pages, pencil, colored pencils, etc. This kit is cute for younger children and is available from Amazon for under $11! Look at the world from a different perspective – lie on your back, hang upside down, or get down on your knees. It’s a big world out there! Minimize it by throwing a hula hoop into the yard and studying with a magnifying glass only what you see within its circumference. Nothing to see? Lure critters to you! Plant a butterfly garden, put up a bird feeder or bird bath, install a miniature pond, etc. Walk the same path different times of the day and during different seasons. Observe the variations in flora and fauna. Check out Candace’s nature study ideas specific to summer and winter. Get wet! Play in the rain, splash in the creek, have fun by the pond, all while beholding the creatures that prefer moisture to dryness. Keep a Nature Journal. Homeschool Share has many printables for all ages HERE. Take photos and keep a digital nature journal. Draw pictures. It helps to keep a sketch pad in your Nature Study Kit. Write a poem or story about what you see. Press flowers or leaves in a simple press, and then frame them. Preserve and label the various specimens that you collect in your own nature museum. Keep a Critter Diary from the animal’s point of view for a few days before you release it back to the wild. The Handbook of Nature Study by Anna Botsford Comstock is a great resource, loaded with photos and drawings, and includes discussion questions and study tips to get the most out of your nature study experiences. Fun with Nature by Mel Boring has nice pictures and good info for the younger crowd. Regional National Audubon Society Field Guides are great little resources with close-up photos to identify most specimens in the plant, animal, and mineral worlds. 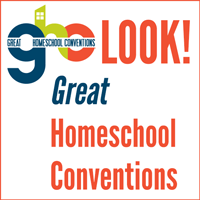 Homeschool Share’s Connections Pages have lots of info and printables pertaining to specifics. It is said that it takes 21 days to make or break a habit, so why not start the habit of nature study today! At bedtime each night, for the next 21 nights, ask your children to describe one thing in nature they saw that day. After a few days, they will be looking more carefully for something to tell you about and before you know it, a habit is formed. May your family be blessed as you behold and consider the Lord’s awesome creation!